Board action will allow construction work on Mindanao Way to move forward. 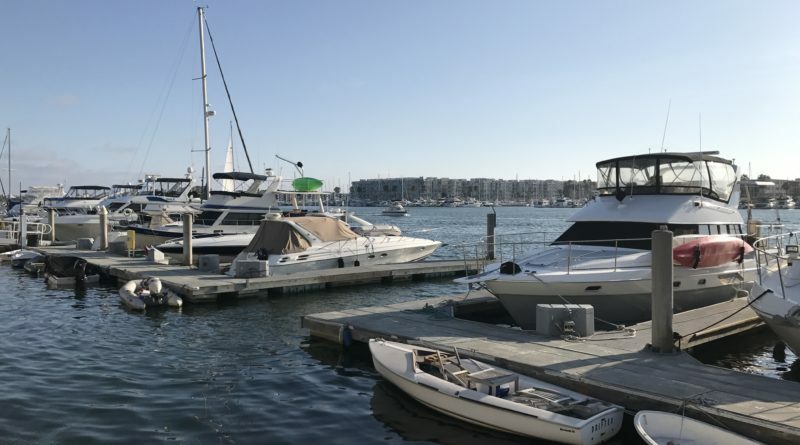 LOS ANGELES — A plan to implement general improvements at a set of parcels on Mindanao Way in Marina del Rey was adopted by the Los Angeles Board of Supervisors, Sept. 4, allowing upgrades to be made where the Santa Monica Windjammers Yacht Club is based. Supervisors approved the project with a $2.6 million budget. Improvements will specifically be made to Parcels 45-47, which includes a single-story 10,000-square-foot vacant office building and two other structures housing the Santa Monica Windjammers Yacht Club and county’s Department of Beach and Harbors’ fiscal operations. Also on the parcels is a promenade walkway connecting the public to the buildings and adjoining boat docks. County staff added the upgraded parcels would support the Board of Supervisors’ Green Building/Sustainable Design Program by including energy-efficient security lighting and a stormwater filtration system. The project will not interfere with current uses of the parcels, according to county staff. “The parcels will remain open and accessible to the public during construction, and the contractor will be required to phase and coordinate construction activities with the county to minimize disruption and to maintain access to the Santa Monica Windjammers Yacht Club, the Beaches and Harbors’ Fiscal Building, and the Anchorage 47 boat slips,” county staff stated. All of the planned improvements would remain within the confines of what already exists at the soon-to-be-upgraded parcels. “The project provides for repair of existing facilities and structures with negligible or no expansion of an existing use; replacement of existing facilities with new facilities of substantially the same size, purpose, and capacity; and placement of minor accessory structures,” county staff stated in its report to supervisors. Supervisors and county staff have spent years trying to upgrade the Anchorage 47 area, which is at the end of Mindanao Way and where the current improvement project is located. Supervisors approved a $15.5 million design-build contract in 2014; the project called for elements of Anchorage 47 – such as the docks and slips – to be removed and replaced. Anchorage 47 was built in the 1970s and is managed by the county’s Department of Beaches and Harbors. Its upgrade plan called for the reconfiguration of 11 docks and improvements to 253 slips. Funding for the projects comes from two sources: $129,000 from the Department of Beaches and Harbors’ Operating Budget and $2,471,000 from the county’s Marina Accumulative Capital Outlay Fund.